Foot anatomy, artwork. At upper left is the tibia (shinbone). The toes are made up of the phalanx bones (phalanges), two for the big toe and three for the others. 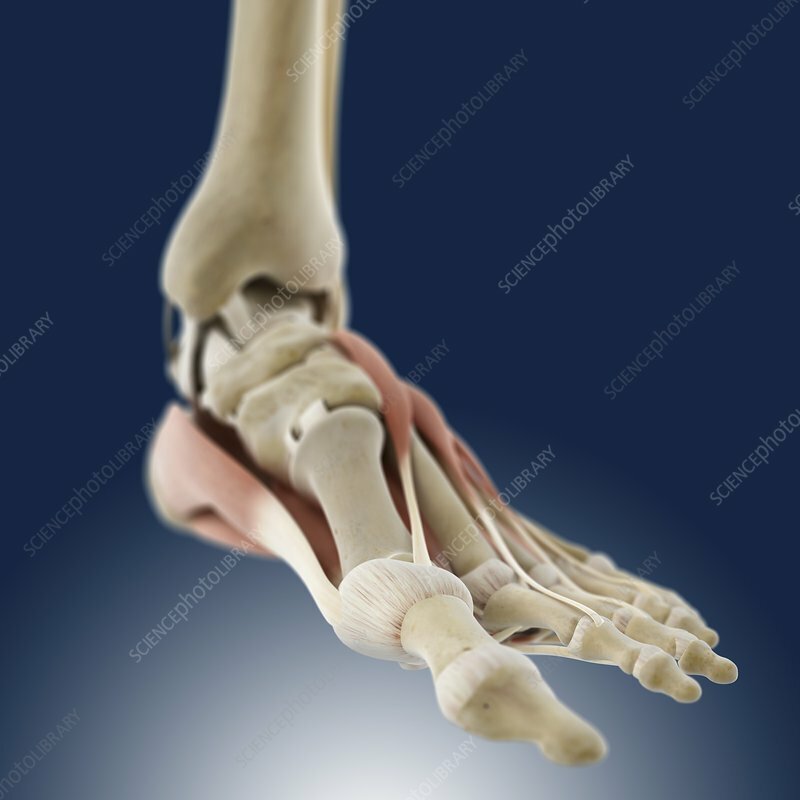 Metatarsal bones in the mid-foot link the phalanges to the tarsal bones. The tarsal bones include the calcaneus (heel) bone (bottom right). The muscle at bottom is the abductor hallucis. On the top of the foot is the extensor digitorum brevis muscle, which acts to extend the first four toes.